Giving a self introduction speech is something you have to do relatively often in most business and academic settings. Introducing yourself can be awkward enough in one-on-one situations... but having to introduce yourself to a group of strangers can be even more awkward and intimidating! Unfortunately, in the business and academic worlds, these types of introductions happen all the time. Many times a group of people will get together for the first time, and the leader of the meeting will ask everyone to give a short self-introductory speech. These requests can catch you off guard if you're not prepared, and you only get one chance to make that all important 'first impression'. But forewarned is forearmed - so make sure you spend time NOW preparing and practicing what you would say in these situations, ensuring your self-introduction speech puts you in the best possible light. Thankfully, most speeches of this type are only around a minute long, at the most. You don't have to come up with lots of content or witty remarks. The purpose of a self introduction speech is to make everyone present feel a bit more at ease and familiar with the people around them. So make the most of your speech by sticking to the important facts. If you can get all of those details put together in a brief introductory speech, you'll be golden! Remember, though, you are speaking simply to introduce yourself. Do not take the opportunity to brag, joke excessively or to register complaints! The idea of this type of speech is not to give any individual the platform for personal gain or self promotion. Avoid any "Alpha Wolf" tendencies to make your introduction a competitive statement. My name is Jim Smith, and I'm a systems analyst. I've been with the company for 5 years now. I started off as a technician and over the years progressed to my current role. When I'm not working, I like to spend time with my son. We do a lot of fishing and camping together. My wife isn't a big fan, but she tags along with us most of the time. It's good to be here and to meet you all in person. We all exchange emails and phone calls, but it's hard to really know someone until you've met face to face. I'm looking forward to talking about our upcoming project with all of you." 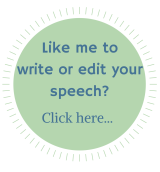 This is just an example, but it hits on all of the major points that you want to include in a self introduction speech. Keep these kinds of brief speeches ready in your mind for these types of group gatherings. If you know you have one coming up, take some time to practice yours to be prepared before the meeting takes place.